We are leaving behind a world that operates like a machine—where commodities are valued—and entering a world that functions like an ecosystem, requiring adaptability. Not understanding your own culture is like a person without an identity. To encourage change and positive growth, the first step is to analyze the existing culture. Knowing the current culture allows workplace change to be implemented with minimal resistance. To create a cultural profile, it’s useful to lay the values, assumptions, and artifacts of a company into a framework that reveals its basic tenets. 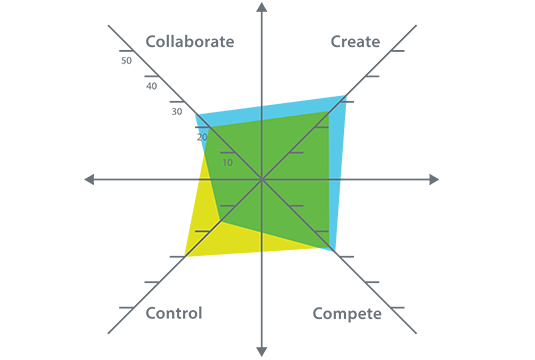 The Competing Values Framework™ provides this structure and has proven to be a valuable tool. 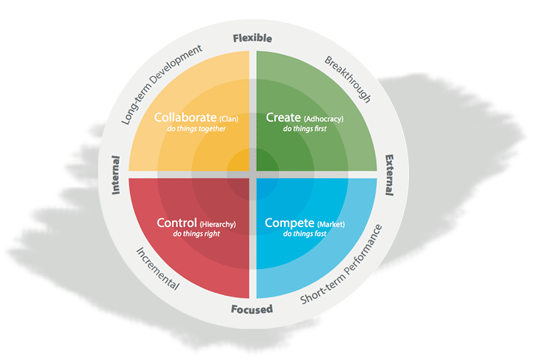 The Competing Values Framework concept emerged from research, demonstrating a link between culture types and organizational effectiveness. 1. Internal versus External: This dimension differentiates an internal orientation intent on integration, collaboration, and unity from an external focus on competition, differentiation, and rivalry. 2. Flexibility versus Stability: Order and control versus adaptation and dynamism. 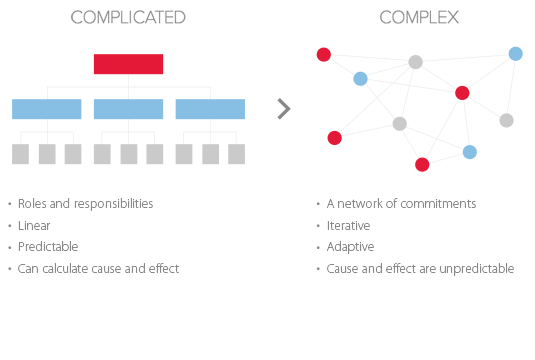 Successful organizational cultures are intentional by design, not the product of default or serendipity, so how could your organization improve its performance? 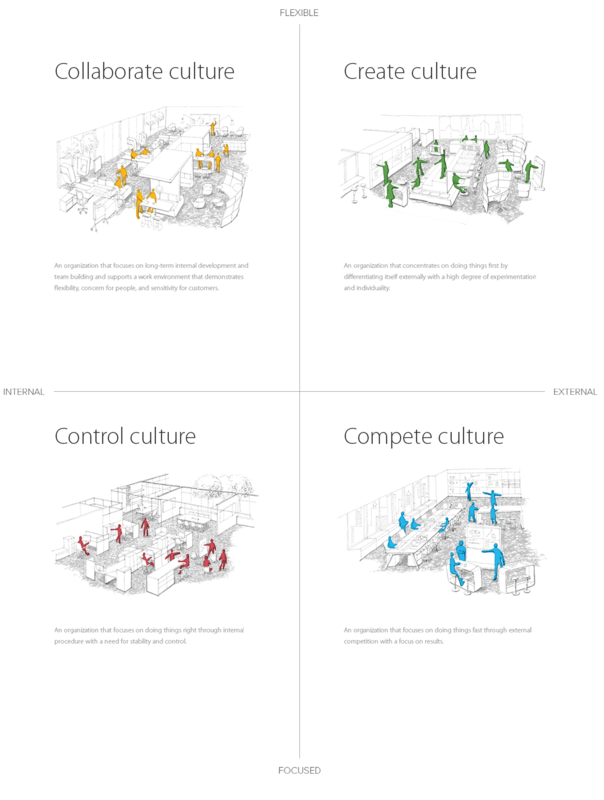 A cultural assessment of the workspace might be a valuable place to start. At the heart of employee motivation resides company culture—the prevailing values, assumptions, and artifacts of an organization and its employees. The workspace itself is an important artifact that affects the efficiency and effectiveness of every employee by creating an environment that motivates people, allowing them to innovate, collaborate, and work efficiently.